For decades we’ve been told the era of the ‘paperless office’ is just around the corner. However, while huge amounts of data are now stored on digital platforms, and email has become a major form of communication, it seems paper documents will still be with us for some time to come. One main factor is that on-screen reading for many people is simply not as easy as reading printed material. A recent survey in the US reported that 70% of consumers found it easier to manage their finances with printed documents, while 65% preferred to receive both digital and hard-copy versions of important documents like bank statements. Even people who opt to receive digital documents often print them out, either for more convenient reading or to file away. With large numbers of paper documents still being received and stored, security remains a major issue. Consider the kinds of documents likely to arrive via ‘snail mail’: bank and credit card statements, driver’s licence renewals, insurance policies, council rates, details of shareholdings, expired passports — just the sort of material criminals look for when constructing fraudulent identities. What about old photos you might throw in the bin? Your image is also a major part of your identity. In the age of identity theft, preventing sensitive paper documents from falling into the wrong hands is more important than ever. When documents are no longer needed, how can you ensure they are securely and completely destroyed? Eliminate the risks with regular shredding of sensitive documents. Sydney Document Shredding Service makes the process easy and cost-effective; with lockable security bins delivered to and from your premises by secure transport. 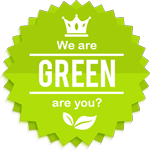 Our comprehensive shredding process totally erases all data. Phone us today on 1800 001 044 and let us tailor a document destruction solution to suit your needs. 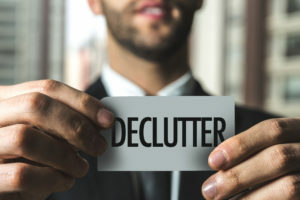 Office decluttering made easy – and secure! A workspace with loose documents is not only unsightly and inefficient. With identity theft and corporate espionage on the rise it’s also a security hazard. Now is a great time to declutter and get rid of unwanted documents the smart – and secure – way. Examine each document and decide if it’s a keeper or can be discarded. Some documents need to be kept for a certain period of time. Documents supporting tax returns, for example, must be retained for five years. Once a document’s ‘use by date’ expires, get rid of it. Scanning documents and storing digitally is a great way to bust clutter. Cloud services like Google Drive offer instant and reliable access to documents, with no worries about hard-disk failures. Once you’re organised, make a daily workspace tidy-up part of your routine. Then once a month go through storage areas eliminating clutter and filing important documents. Now you’ve busted that cluttered workspace you’ll have documents that need to be destroyed. Ensure sensitive data is completely erased with an experienced and professional document destruction service. Sydney Document Shredding Service is a trusted name in secure document disposal. Our 240-litre lockable Security Bins (minimum order of two) are delivered to and picked up from your premises by secure transport, either on a one-off basis or as part of a scheduled service. All documents are taken to one of our secure facilities where they are comprehensively cross-shredded into tiny fragments, then transferred to a recycling facility for final, total destruction. At the end of the process you receive a Certificate of Destruction, your guarantee that all data has been completely destroyed. Phone us today on 1800 001 044 to find out how easy and cost-effective secure document destruction can be. Securely destroying confidential data is an important activity that many businesses fail to do correctly. When you use a document destruction service, you can be rest assured that you are taking the right steps to protect your business and your clients, with no chance of sensitive data exposed. Here’s how our document destruction services works. First of all, we will provide you with a secure location to store sensitive documents that need to be destroyed. For most businesses, this will be a 240 litre securely locked bin, with each bin holding up to 100 kilograms of documentation. We can also provide pre-paid secura bags, which hold up to 40 kilograms each – ideal for small offices or the home. Once your bin is full – or on a regular schedule for repeat clients – your bin will be collected and securely transported to our destruction facility. All of our destruction facilities are “approved sites” – this means they have strict guidelines on product handing and how document disposal is done. We have comprehensive policies and procedures for the storage, transportation and destruction of all documents. All of our staff handling document destruction have been cleared to a minimum of a National Police Records Check. 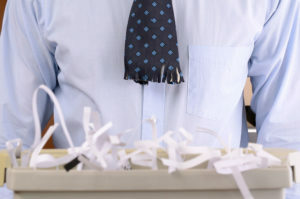 We then completely destroy the data through comprehensive cross-cut shredding. Document fragments are reduced to tiny fragments, and we provide a security guarantee along with a certificate of destruction. Clients are also able to witness document destruction (but conditions do apply, please contact us to discuss this option). We take document destruction and security very seriously. If you have any concerns or questions about our service, we’d love to hear from you. Contact us today to find out how we can help you to safely and securely destroy your business’s confidential data and protect you from problems like corporate fraud, identity theft and industrial espionage. Maintaining the confidentiality of information is crucial for any kind of business. 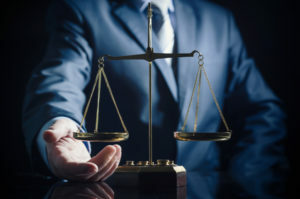 It can affect the credibility of a company and its capacity to maintain long standing relationships with clients. 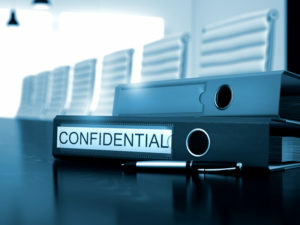 There are many reasons why confidential information leaks, so it will be important to know the most dependable solutions that can help avoid unwanted circumstances that may arise from it. Safe Storage – In order to preserve the confidentiality of sensitive information it should be stored in areas where access can only be allowed with strict permission. Some examples of safe storage are archives, safe boxes, and locked places. Protection Policy – It should be able to define how data can be shared within and outside the premises of the company. A company that handles valuable information should come up with a protection policy that will keep employees aware of the kind of information that must be kept secret and how its confidentiality can be preserved. 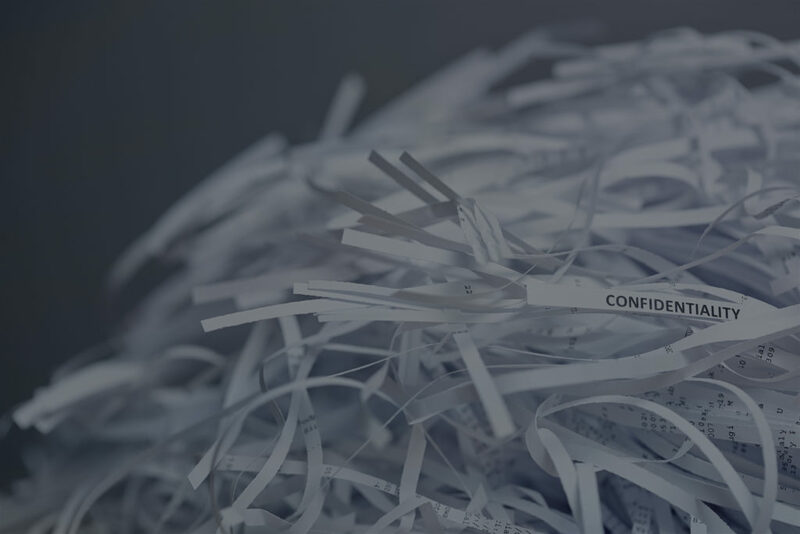 Confidential Document Disposal– Another guaranteed way to preserve confidentiality of business data is by hiring document destruction services. 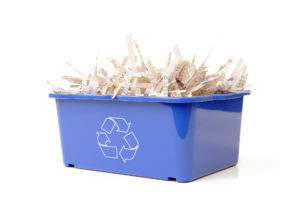 Look for dependable and trustworthy companies that offer shredding services and certificate of destruction to clients. By destroying sensitive information, you will be spared from the worries brought by data protection breaches. There are certain types of information that should not escape the premises of your business. While there are risks that may cause serious problems, it is a must for you to ensure that proper document handling and records destruction procedures are followed within your company.